Champions! Horfield A won the title last season (2017/18) and nearly the same team will aim for its defence this season. If you want to talk to Horfield A then contact their Captain, Derek Pugh on derekpugh@blueyonder.co.uk or 01179 232 183. Derek Pugh (201): The captain and one of the strongest in the league – defending the title this year! 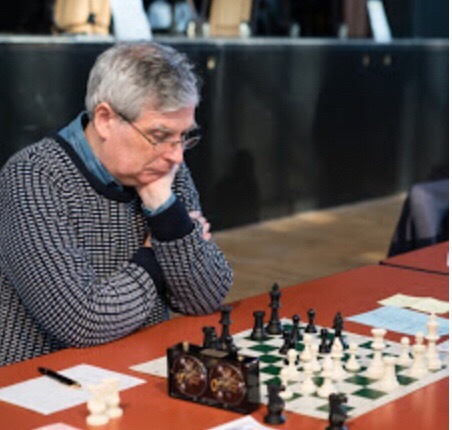 Alex Easton (194): A legend of Bristol Chess, Alex has returned to the league with style – playing powerful positional chess in division 1. Stephen Dilleigh (187): Probably the most active player in the club, playing ten or more tournaments a year in addition to league chess. Philip Nendick (171): A long-time Horfield player and a captain many times over, Phil has seen it all. Harvey Atkinson (166): Uncompromising and fearless play has landed Harvey in the A team gunning for the defence of the division 1 title. Mike Levene (181): A dedicated student of chess, Mike plays in a refreshingly classical style – no flank openings here!